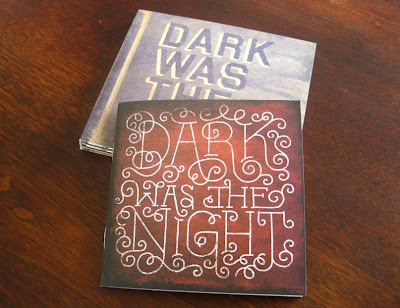 I recently had the pleasure doing some print work for the new Red Hot Records release called Dark Was The Night. The Red Hot Organization started in the late 80s to fight AIDS through pop culture. Actually, one of Red Hot's founders, John Carlin, is also the president of my old stomping ground Funny Garbage. I first heard of Red Hot with their debut compilation Red Hot + Blue in 1990. At the time of the release, I was not only taken with the new spins on old Cole Porter standards by the likes of Annie Lennox and kd lang, but also with the packaging, designed by Helene Silverman and Frank Gargiulo. It actually served as inspiration during my art school days. 15 years later, when Red Hot wanted to re-issue the Red Hot + Blue package to include a dvd of all the videos, I was asked re-design it. Being that the original design was so strong and well-loved, I just took the type and graphic elements and laid them out in the same way but kept it really simple. It was immensely rewarding to be able to work on that project. 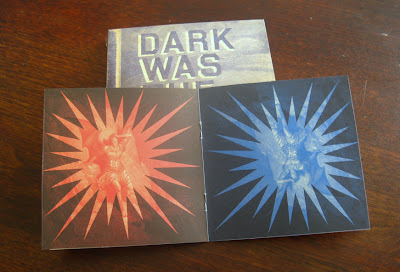 Which brings me to Dark Was The Night. I had worked with the records producers, brothers Bryce and Aaron Dessner at Funny Garbage and both are really nice guys and deserve all accolades bestowed on them and their music. 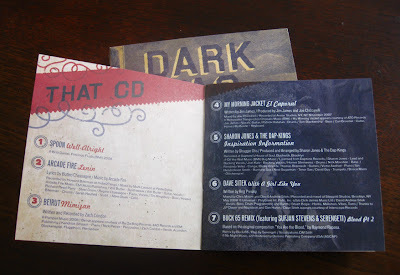 The music on this 2-cd compilation is generally old American folk in feeling so the packaging takes it's cues from that genre and was exquisitely illustrated and designed by Ryan Feerer. The record's executive producer John Carlin had the idea to use plates from John Milton's Paradise Lost as illustrated by Gustave Dore because they convey the same dark and moody vibe as the music. 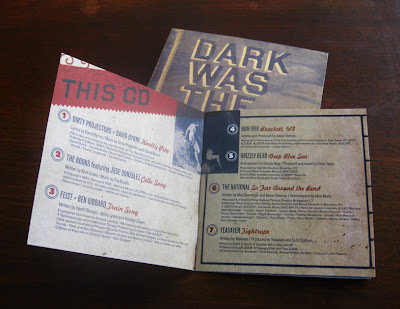 I designed the interior of the booklet based on Ryan's cover illustration and the distressed style he and creative director Andy Pratt had established. I love it. It's gorgeous. And while so many hands were in it, it is seamless--yet collaborative. Nice job. Congrats! I guess the music ain't half-bad either. Ok ok, I admit, I'm addicted to the music too. The National is a personal favorite. Thanks for the comments! The National song is one of my top 3 faves on the album... Yeasayer and Andrew Bird are the other two. With Dave Sitek and Jose Gonzales close runners-up. Awe, hell. It's all good.